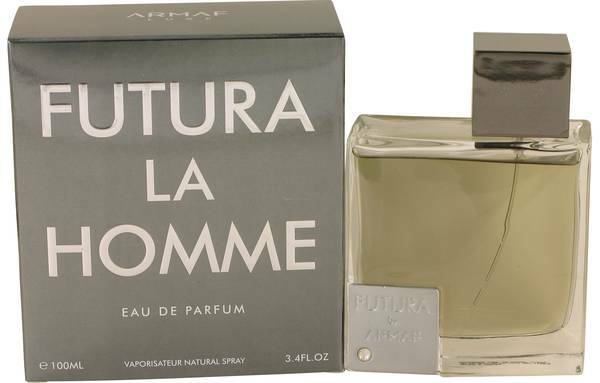 Armaf Futura Cologne by Armaf, A classic, romantic fragrance for men, with just the right touch of spice and warmth, thanks to a middle note of coffee, Armaf Futura is a superb choice for cold nights and cuddles by the fire. Top notes of bergamot, sage, and lavender lend a light, woody tone. Iris and amber join coffee in the middle note. A masculine base with sharp overtones of vetiver, cedar, leather, and patchouli provide a strong foundation. It has average sillage, wafting gently away from Read More Read More the wearer, but not filling the room with scent. This long-lasting cologne is the perfect mix of spicy masculinity, warm woods, and delicate florals. Armaf is a relative newcomer to the perfume industry, arriving on the scene in 2014. Based in the United Arab Emirates, their quality fragrances are found around the world. Armaf seeks to design perfumes that are modern twists on classic fragrances. They create inspiring, luxurious scents for men and women.